The service and greeting we received and the help with the bunnies on the first night was greatly appreciated. The bed was comfortable. We were very pleased and happy that we had chose there it met our needs for the weekend we were there. Once again Lorraine and I would like to say thank you for your help with our booking and with the rabbits and we will definitely stay there again and recommend you guys to others. Thank you Lorraine and Michael for your great feedback. We will certainly take on board your comments and suggestions. Look forward to meeting you again next time you are in the area. Good location especially if travelling to/from Melbourne or airports. Very good value for price. Clean, bright rooms. Staff were lovely and it was clean and basic. LOVE the smell of your room air freshener and also the hand wash! Most convenient for the purpose of our visit. Staff happy to help. Some issues with wifi signal in the room and tv signal. Overall good. Just fine. I was after something simple and comfortable at a low price and this fitted the bill perfectly. I did not have a dog with me on this visit but awesome to see a dog friendly place. 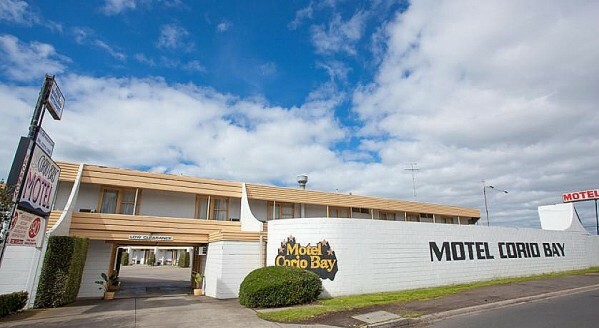 Excellent service and experience at Corio Bay Motel considering our last minute and short stay. Thank you guys for your hospitality. We were very happy with our room. The only compliant would be the internet, we could not find it to log into it and another couple of pillows would have been good. Nothing worth calling to complain about especially when he'd already moved us from room 8 to room 6 due to the toilet not working. Only driving through so we didn't need anything fancy or expensive. Therefore this motel was good value for money. Needed a bit of a fresh paint job but overall it was clean and bed was comfy. Convenient location beside the main road. Thank you for reviewing our property we appreciate your feedback. We continue to look for ways to improve the motel and will pass on your suggestion to the owner.